Gardner went from being part of the city's invisible to being a powerful player in it's financial district. Motivated by the promise he made to himself as a fatherless child to never abandon his own children. Gardner surprised everyone by setting his sights on the competitve world of high finance. The story of billionaire trader Steven Cohen and his fellow pioneers of the hedge fund industry. They made their mark placing bets in the market that turned out to be right more often than wrong. In 2009, at the peak of the financial crisis, AIG - the American insurance behemoth - was sinking fast and became a name the nation hung its resentment in the crisis. Hamid tells the fictional tale of a man's journey from an impoverished rural boy to corporate tycoon. This book is framed like a business self-help book. 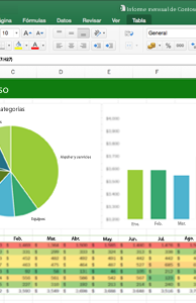 Learn your way around Excel 2016. This class will show you how to set up data on a spreadsheet, apply some basic formatting, and select different printing options for spreadsheets. Register to take a large variety of online courses, all for free with your library card! Copyright © 2006 - 2014 ReadingHouse, LLC, All rights reserved.